Unlimi-Tech Software Inc.'s FileCatalyst and Telestream announce integration to provide secure, high-speed distribution of file-based media under automated Vantage workflow control. Unlimi-Tech Software, Inc., a pioneer in managed file transfers and the creator of FileCatalyst, the world’s leading accelerated file transfer solution, is pleased to announce FileCatalyst is being integrated into Telestream’s Vantage file-based workflow automation products. The integrated solution will be available in Q4-2013. The integration of FileCatalyst’s unique acceleration technology within Vantage will allow files that might otherwise take hours, or be impossible to send through other methods, to seamlessly be delivered in minutes to FileCatalyst servers throughout the world. Vantage is a video processing platform that brings transcoding, media capture, metadata processing, analysis, content assembly, and third party integrations under unified system control. FileCatalyst will be demonstrating its accelerated and managed file transfer solutions at the upcoming IBC2013 Exhibition at the RAI Amsterdam taking place from September 13 to 17 at stand 7.H40. Telestream will also be exhibiting at the IBC2013 Exhibition, showcasing its Vantage file-based workflow automation product at stand 7.C12. Located in Ottawa, Canada, Unlimi-Tech Software is the creator of FileCatalyst, the world's leading accelerated file transfer solution. Founded in 2000, the company has more than one thousand customers in media & entertainment, energy & mining, gaming and printing, including many Fortune 500 companies as well as military and government organizations. FileCatalyst is a software platform designed to accelerate and manage file transfers securely and reliably. FileCatalyst is immune to the effects that latency and packet loss have on traditional file transfer methods like FTP, HTTP or CIFS. Global organizations use FileCatalyst to solve issues related to file transfer, including content distribution, file sharing and offsite backups. To learn more, visit http://www.filecatalyst.com. 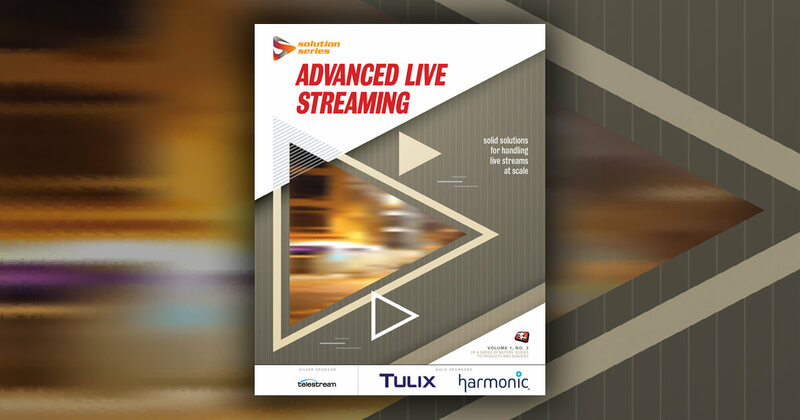 Telestream provides world-class live and on-demand digital video tools and workflow solutions that allow consumers and businesses to transform video on the desktop and across the enterprise. Many of the world’s most demanding media and entertainment companies as well as a growing number of users in a broad range of business environments, rely on Telestream products to streamline operations, reach broader audiences and generate more revenue from their media. Telestream products span the entire digital media lifecycle, including video capture and ingest; live and on-demand encoding and transcoding; playout, delivery, and live streaming; as well as automation and orchestration of the entire workflow. Telestream corporate headquarters are located in Nevada City, California. The company is privately held. For more information, visit http://www.telestream.net.